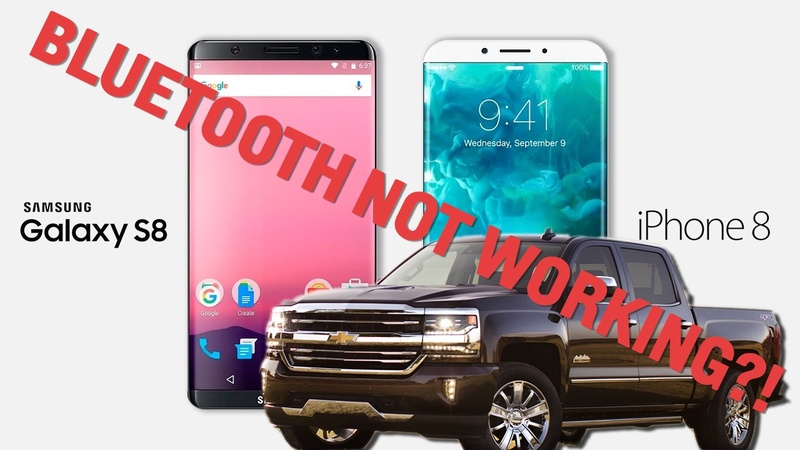 Wallace Chevrolet > Buick > Bluetooth Not Working with your Car? – FIXES FOR Apple & Android! Bluetooth Not Working with your Car? – FIXES FOR Apple & Android! Is your Bluetooth not working properly with your vehicle? Are you an Android or Apple user? Try these tips before you tear your hair out! First, you may want to review how to pair with your car! Some of the most frequent customer feedback we hear concerns syncing Android contacts. While the phone itself pairs, the user cannot access contacts. No names or numbers…or numbers but no names. What gives? There’s a simple solution! ISSUE: Contacts on Android phone cannot be accessed using Bluetooth commands in the vehicle. Phone pairs perfectly, yet contacts and numbers cannot be accessed. SOLUTION:Ensure you check all of the Android dialogue boxes when you FIRST pair the phone. Is your phone already paired? No need to worry! Simply delete the vehicle from the list of paired devices on your phone, delete the phone from your list of paired devices in your vehicle and RE-PAIR your phone! Unlike Apple products, many Android devices will prompt a request for various accesses once pairing is complete. The vehicle may ask for permissions for contacts, texts, to record audio and more…check ‘Allow’ and then check ‘Do Not Ask Me Again’, to avoid the prompts in future. Like Android users, many Apple users also voice concerns that their vehicle cannot access their contacts! The phone is paired but the vehicle seems unable to access contacts. The solution is easy! 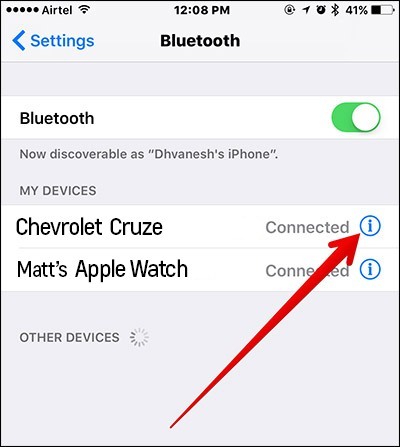 ISSUE: Apple iPhone/iPad pairs perfectly but contacts cannot be accessed using Bluetooth in the vehicle. SOLUTION: Ensure your device allows the contacts to sync. Tap ‘Settings’, then ‘Bluetooth’ and find the vehicle with the pairing issue. Tap the ‘i’ icon beside the vehicle and ensure all of the boxes are checked, including ‘Sync Contacts’! IMPORTANT: Once you’ve selected ‘Sync Contacts’ you still need to finish the process! Turn off the vehicle fully, then open and close the driver’s door. Then switch the vehicle back on and select your phone from the list of connected devices! You should be all set! Are you still experiencing problems with the Bluetooth sync between your phone and vehicle? Even if your bluetooth is not working there is still one tried and tested action…Delete, Delete, Re-Pair! 1) Go into the ‘Bluetooth’ menu on your phone and fully delete the vehicle with which you wish to connect. 2) Go into the ‘Bluetooth’ menu on the vehicle and fully delete the phone you are trying to connect. 3) Re-pair the two! Head into the ‘Bluetooth’ menu in the vehicle and allow it search for a device. Hop onto your phone, switch Bluetooth on, wait up to 30 seconds for the vehicle to appear in the list! Then Follow the prompts! DID THESE TIPS WORK FOR YOU? ARE YOU STILL EXPERIENCING ISSUES? LET US KNOW IN THE COMMENTS BELOW!